Created for Brussels European Capital of Culture in 2000, the Zinneke Parade has become a mainstay of the city's cultural landscape. 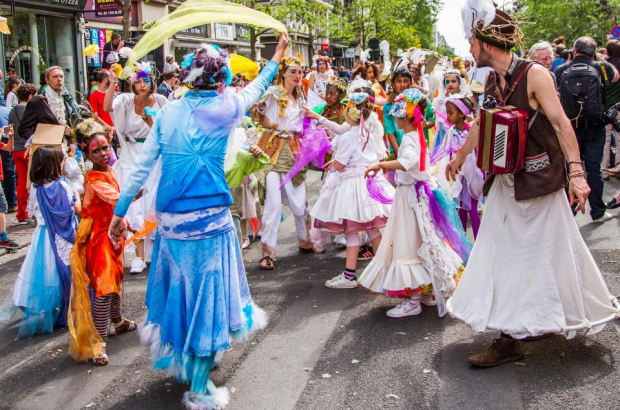 Every two years two dozen Zinnodes rally around a theme (this year's theme is Illegal) and create an unforgettable, entrancing, striking and magical spectacle that combines elements of Belgium's very rich and ancient carnival folklore with a contemporary multicultural twist. Who participates and why? Eleven people from all walks of life tell us what they do at Zinneke and why. Following on from Saturday's successful bread festival, the Schuman roundabout association have some extra events planned for the roundabout this coming week. This includes a chess party on Monday, games of tennis on Tuesday and an open global cafe on the roundabout on Wednesday. We hear from Marion Wolfers, president of the Rond Point Schuman association and Jacob Gloser, CEO and founder of Go Tennis.